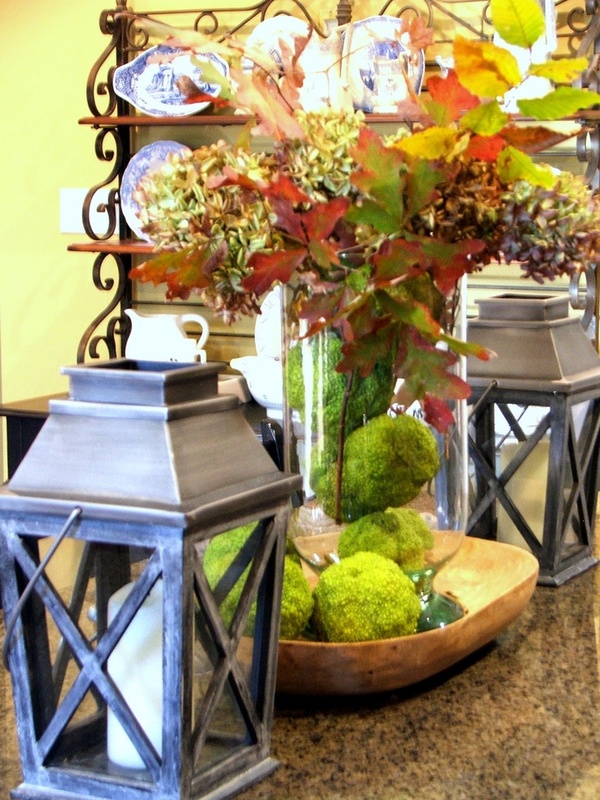 By using natural elements in your decor, you can create beautiful decorations that smell wonderful. 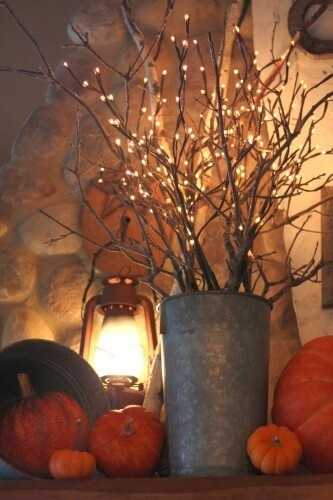 You can start off with the basics and change out/add to for the holidays: Halloween and Thanksgiving. 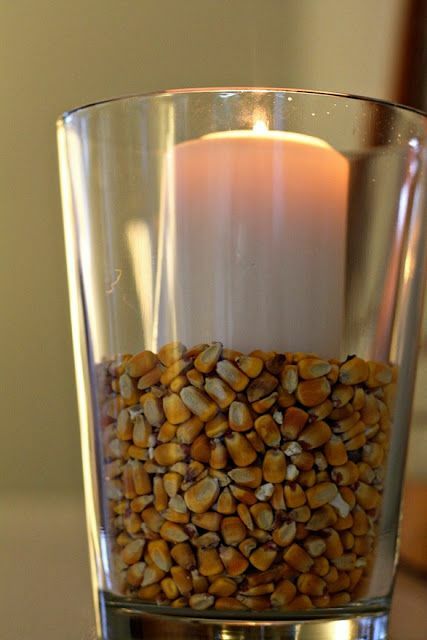 Candles are an easy way to decorate for fall. 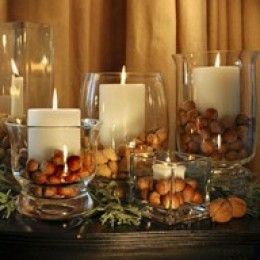 Plus they are great for giving you a warm glow of light wherever you use them. 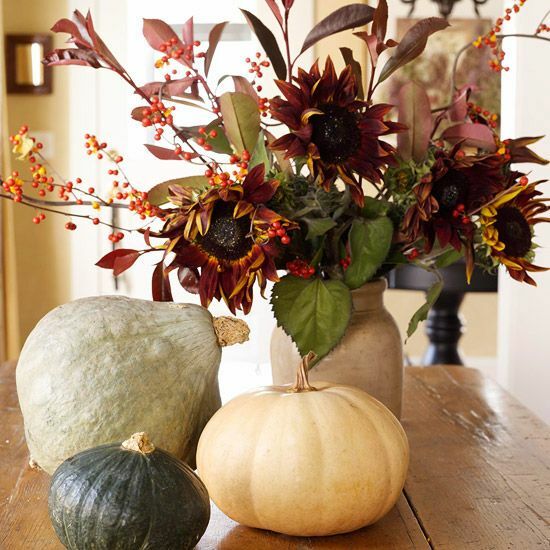 By varying your shapes and colors, you can make a beautiful arrangement. 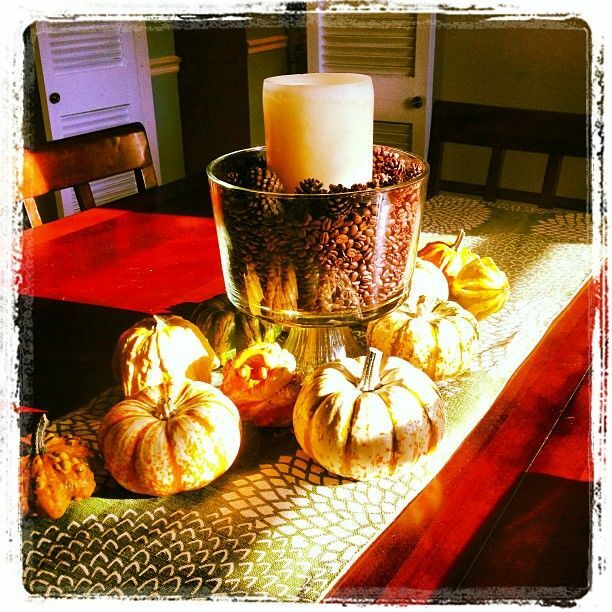 One of my favorite tricks is to use coffee beans. 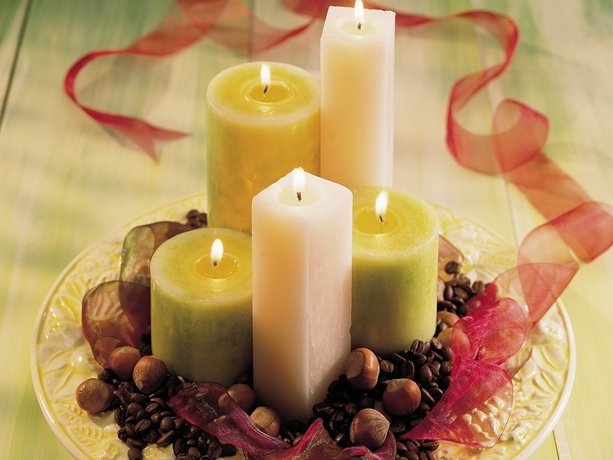 When the candle heats up, it heats the beans and they release a amazing aroma. P.S. you don’t have to buy the expensive bean for this- the cheaper store brands smell just as nice! 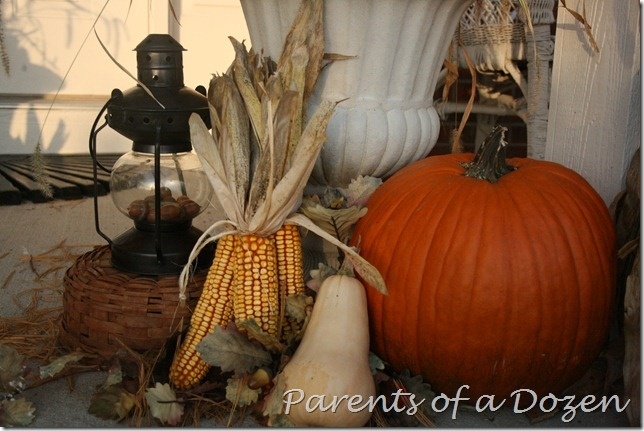 Pumpkins are another easy way to decorate for fall. They are big and last the whole season. But dont stop at orange!!!! 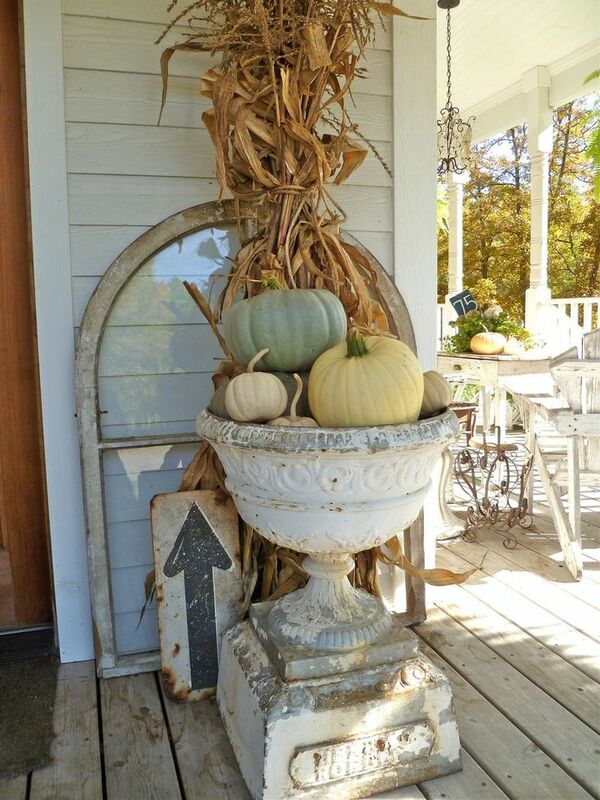 You can get white pumpkins, beautiful gords, or even paint your pumpkins! 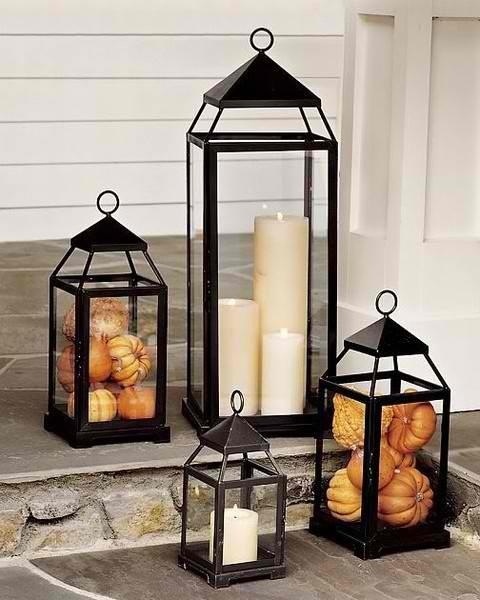 Lanterns are another beautiful decoration for fall. 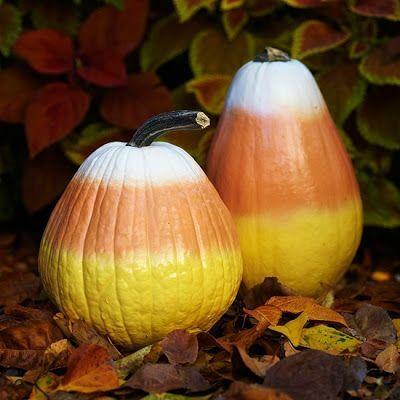 They have become very popular, so you can pretty much find them everywhere these days. 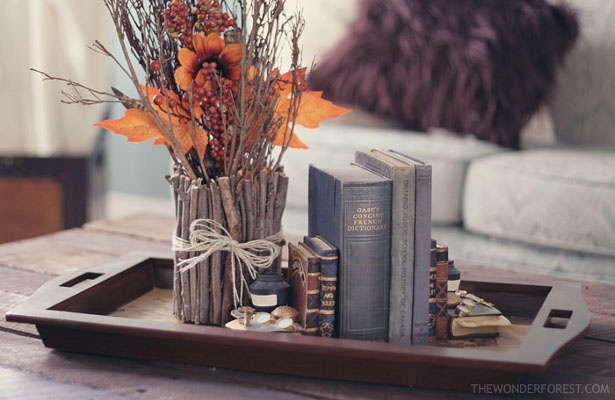 Twigs and leaves are always a great way to add color to your arrangements and displays. Maple leaves are always the best because of the color range that they have. 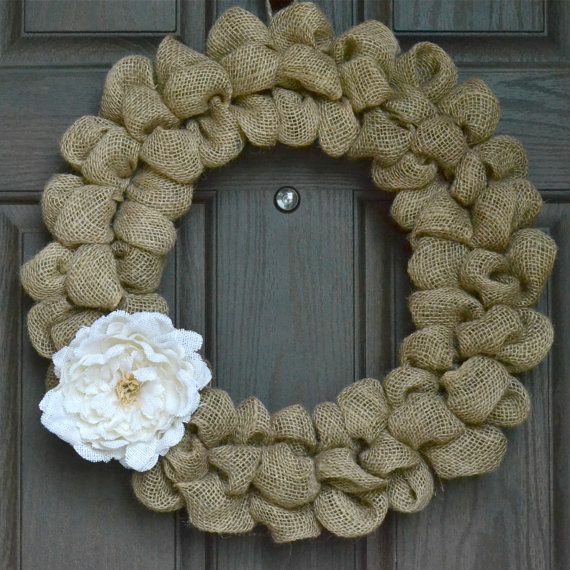 Burlap is another trendy item. 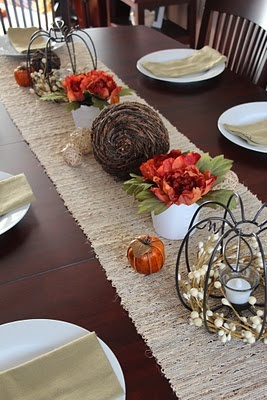 You can do anything from wreaths to embroidered tablecloths. 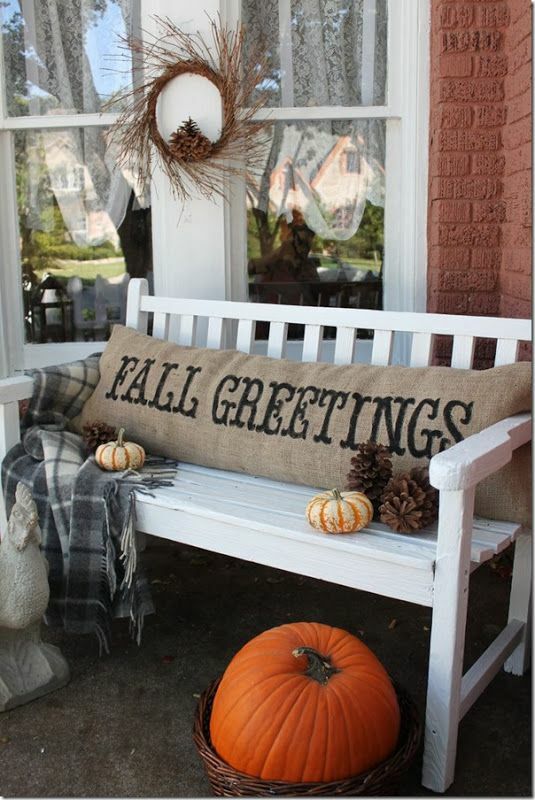 Speaking of, here is a great resource for embroidered burlap runners and such.